Welcome to eZee Insider, keeping you up to date with what’s happening in eZee. In this edition, find out eZee’s participation in Food and Hotel Show Malaysia 2015, eZee’s new office in Surat, India, Exploring TripAdvisor Programs: TripConnect Instant Booking and TripConnect CPC and more. The 13th Food and Hotel Show Malaysia 2015, Malaysia’s biggest biennial food, beverage and hotel exhibition is taking place in full potential during 29th Sept - 2nd Oct 2015 in Kuala Lumpur Convention Centre to connect hospitality resource providers and consumers- One stop hospitality business platform. Organized by Malaysian Exhibition Services Sdn Bhd, FHM 2015, the expo will co-locate Culinaire Malaysia 2015 competition- a benchmark in international culinary industry. The expo is expected to attract more than 1200 local and international companies from almost 50 countries. Additionally, it will feature 7 international pavilions and events like Food & beverage, Hotels & Supplies, Food Service & Hospitality,Bakery & Confectionery Malaysia 2015 and Halal Food Asia 2015. At the expo, eZee is showcasing its cutting edge hospitality solutions and is offering attractive offers to visitors. You can find us at booth no. 7208. Over the years, eZee has grown exponentially, from humble beginnings in 2005 eZee now one of the few hospitality solutions providers in the world offering a complete set of solutions exclusively for the hospitality industry. eZee currently has more than 100 employees rigorously working on providing superior support, product development and growth of the company. 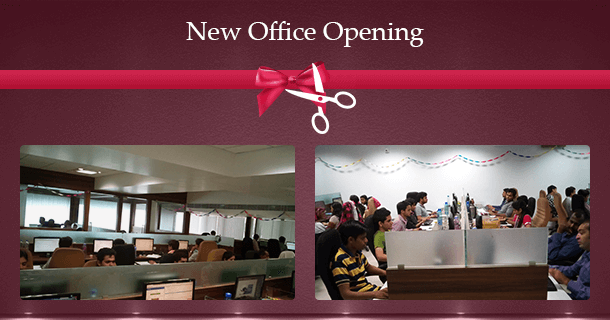 Attributing to the growing business, eZee inaugurated a brand new office in Surat. At present, eZee aims to expand the team as well as the prospect of individual growth of each member. The new working space is fully equipped and the advanced amenities offer our team a comfortable and yet sophisticated working environment. All in all, eZee endeavours to achieve upsurge in organizational capabilities with the ultimate target of being a prominent leader in the hospitality industry. Connecting the world of travellers with prospective hotels, inns and B&Bs to formulate their upcoming travel plans, TripAdvisor TripConnect introduced 2 powerful programs of TripConnect CPC (cost per click and TripConnect Instant Booking. Launched in 2014, both programs quickly became a market favourite for accommodation providers as well as travellers all around the world. TripAdvisor truly believes that both programs will significantly increase monetization, as the travellers all around the world establish a direct relation with the hotel through the trusted medium of TripAdvisor. However, understanding the difference between both the services can be a little bewildering. Nonetheless, eZee’s Head of all Cloud Solutions- Mr Harshdeep Khatri recently noted down a detailed blog helping you differentiate between TripConnect CPC (cost per click) and TripConnect Instant Booking and get a hang of both the services. Explore the entire blog here, to understand how both the TripAdvisor programmes can help your hotel increase revenue. One of the world’s largest hospitality trade exhibition, 12th annual International INDIA HOSPITALITY EXPO took place in Goa from 25th to 27th August 2015. 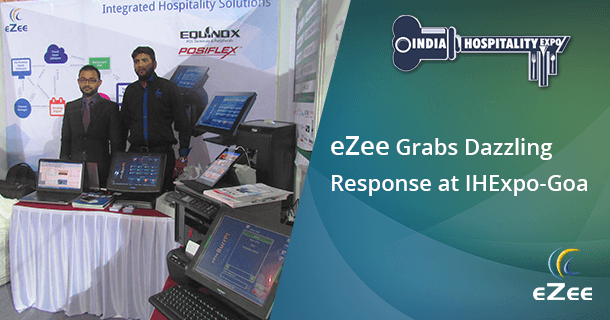 Being a prominent member of the hospitality industry, eZee once again presented its exclusive hospitality solution and received a marvellous response from the myriad of visitors. Along with eZee, the expo witnessed the presence of numerous hospitality experts and their state-of-the-art artistry and hospitality related products. The mega event brought together eZee and it’s clients to enrich relations and engage with potential clients from all over the World. Additionally, we were able to have one on one communication with various eZee’s existing clients in the region, visiting expo to get information about new features and upgrades eZee products. Contact us at info@ezeetechnosys.com to Know more about the upcoming events. 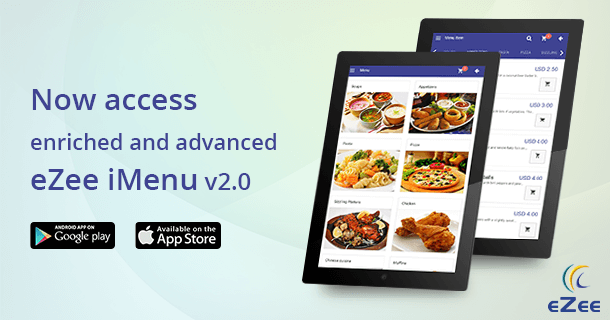 Replacing the traditional restaurant menu, the much awaited upgrade for eZee iMenu tablet based digital restaurant menu is now available on Apple Store and Google Play. The new electronic menu now offers an advanced and enriched backend process which makes it simple, easy and faster than ever. Along with a completely revamped GUI, eZee iMenu now provides a faster and smoother navigation to the guest. The enriched customization allows the owner to upsell services by applying various attractive templates and displaying images of the chef specials or most sold entrees. Particularity helpful in case of downtime error or connectivity issues, new eZee iMenu gives liberty to use the application even in offline mode. Furthermore, the enhanced connectivity with the Restaurant POS, allows the users to sync the POS data across all connected device. As a result, the automation process allows your staff to attend and service your guests more efficiency in increase revenue. Download the new eZee iMenu now. eZee is delighted to announce the relaunch our flagship product website www.ezeefrontdesk.com. 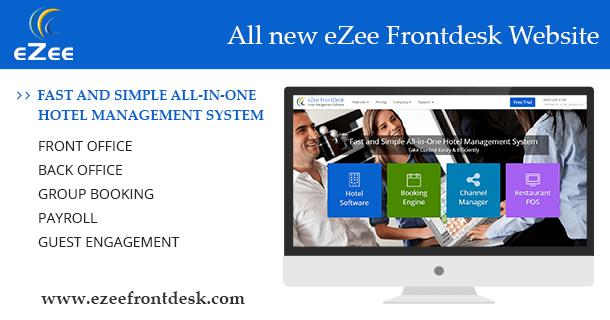 The new website for eZee FrontDesk- Hotel PMS now provides detailed information regarding the cutting edge features of eZee FrontDesk. It will offer a smoother, faster and user-friendly navigation and enhanced user experience. Furthermore, the smart navigation will allow readers to easily access the information they require about eZee FrontDesk and other integrated solutions. In addition, the responsive website has been developed with the latest technology and streamlined features in mind. Regardless of the device it is accessed from, it offers superior experience across the board be it Mobile, Tablet or Desktop. Log on to www.ezeefrontdesk.com for more information. On 29th July, 2015 Microsoft rolled the latest edition on Windows 10- giving the option to users to easily upgrade their existing Windows 7 or Windows 8 to Microsoft Windows 10. Evolving with the latest technology, eZee On Premise software- eZee FontDesk and eZee Burrp! have been upgraded to offer effortless compatibility with Windows 10. Furthermore, eZee FontDesk and eZee Burrp! 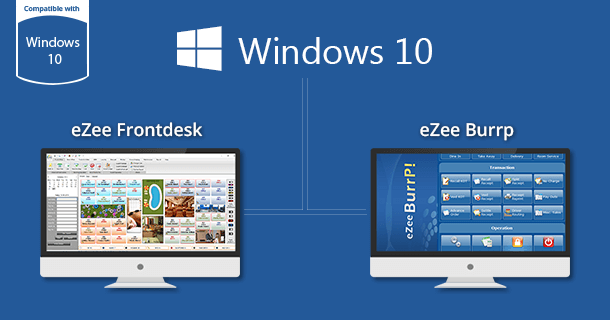 with windows 10 are likely to have an efficient and even more secured access as a result of the security enhancements. Adding to the advantage, Windows 10 users can expect a wide range of functionalities added to eZee solutions in the near future. 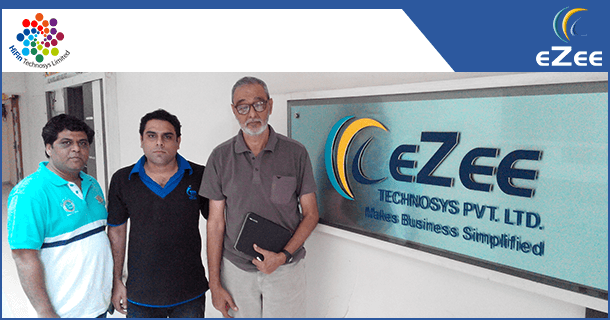 The CEO of HiFin Technosys Ltd- Mr Imitiyaz Adamjee, visited eZee’s Headquarter in Surat last month. One of our oldest channel partners, HiFin Technosys joined the eZee bandwagon back in 2006. As a result of sharing the similar vision and common goals, eZee along with HiFin now holds a very strong position in the East- African hospitality industry. Mr Imtiyaz’s corporate visit included meeting and conversing with the entire eZee team from product development to sales to marketing and to our support team. The prime agenda was to talk about the futuristic plan to further establish eZee’s all-inclusive solutions in the African market. Opening doors to the numerous trading opportunities in Kenya, the visit has led to building an even stronger business relation between eZee and HiFin Technosys. Become an eZee Partner if you are looking for exploring business opportunities.